Tonight I couldn’t get more than $40 cash back from the super-healthy organic co-op store. Then I went to an ATM and my card wouldn’t read. As I exited the building where the ATM was, several children rushed through the door and the parents behind them let it happen. After everyone charged through, adults included, I stepped forward, thinking the guy in front of me who’d held the door would keep doing so. No. He let it shut just as I walked through with both hands carrying groceries, and so it slammed on me. Then I sat in my car to await the end of a teen-ager’s piano lesson–the reason I needed the $60 in cash, because the teacher won’t take checks. I’m hacking and snorting the whole time because the older I get, the more gluten and lactose intolerant I get. Every meal presents a question mark of how my body might not like this or that for dinner. And like I have the time to craft a healthy, organic diet that ferrets out all the mystery allergens or keeps every meal pure. I won’t even explore the fact that lately, I no longer have time to write. I did lift out of my irritable fog to delight in this–community wireless. Thanks, Town of Carrboro. Without it and my laptop, I would have a way to tap these rants to life. And I am not stuck in a hospital bed right now. A forced sitting in a carseat isn’t that terrible. In fact, a blog emerges from it. And most importantly: everyone I know and love is safe at home, none of us facing chemical weapons, rocket launchers, or genocide in our neighborhoods. As Friar Laurence once told Romeo: “There art thou happy.” That was in a scene where Romeo was whining, big time. First-world Folks, take a note: just because we’ve chosen to lead lives that are jam-packed and so technologically rife with instant gratification doesn’t mean we have it bad. And writers who have the most time to write and reflect are probably in one of two situations–a sane location with enough food and safety–or prison. Tonight I’m going to take this moment to stop whining and remember what matters most: I’ve got a lot of reasons to be thankful, and if my first-world life has become too much for me, I most likely have means to change it. Starting with my attitude. Shakespeare’s words that thrilled my soul at 14 remind me that there are words to be written in every spare moment and only one crack at this life. If I also take a moment to remember who’s last in this life’s race, am I really going to moan about faulty machines and going second or third through a door? As a Holocaust survivor told my stepson recently while interning on a documentary shoot: You make a decision to choose life everyday. You’ve got this chance; stay positive; make the most of it. What pack of blessings lights upon my back? The first thing this first-world gal must do is ask that. The last thing she should do is live an entitled life of demands on the world around her where she wonders why she isn’t first in everydamnthing. I’m going to mull on that and read the good Friar’s words to the self-pitying Romeo just one more time. Happy Birthday, Shakespeare. What You Mean to Me. 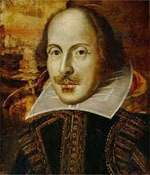 Today the Bard is 448 years old. This universal author touches so many: he’s global and he’s omnipresent because he’s also quite local and personal. So let’s set the GPS for me with the typical narcissism we love as bloggers. What does the Bard mean to me? It’s still a pretty nice birthday tribute to tell another how he’s changed your life, so I’m sure Will wouldn’t mind a fan 400 years hence bowing to his wisdom, his beauty, and his wit. I have already written my thanks directly to Will and why I need him, and I have already defended his honor, nay, his very existence. Today, just some simple, quick thoughts of how Shakespeare is part of my daily bread and daily pages. Poetic language that transports the teen heart. I fell in love with Shakespeare in 11th grade when Macbeth taught me what “all is lost” meant. Is there any better speech than “To-morrow, and to-morrow, and to-morrow…” (The entire text shimmers at the end of this post.) I knew then that Shakespeare got me. He got depression, he got ennui, he got hopelessness. Words, words, words. I have so many great words thanks to the man who made them common parlance. Dauntless, besmirched, and lackluster are just a few. This delightful Youtube video, a must-see for high school students, dedicates Chapter 3 (found at 2:19) to the Bard’s impact. His words, read aloud many times in my own schooling and later in my classrooms, inform my writing today with diction, musicality, and emphasis. I think of his consonance, alliteration, euphony, cacophony, internal rhyme, and meter, and I hear me trying to imitate it in my own work while sounding 2012. Kid inspiration. The other day, I’m standing in line for a burrito, and a young man in scrubs said, “Excuse me, did you ever teach at Stanford?” I told him yes once I figured out he meant the middle school, not the university. I could not place him. “I’m Adam,” he said. “I played Mercutio?” Then I remembered. One can only cast an adventurous, humorous soul for that role, and suddenly I saw the 13 year-old I hadn’t seen since 1998. I told him I was happy he had survived that production of Romeo and Juliet, because I recall it involving a) seventh graders b) no budget and c) not enough time to master the Bard’s work. But because of intrepid and enthusiastic kids, a persistent if naive director, and some awesome parent support, the thing came off. And Adam made his mark. Now he takes care of patients and plays music. And yet he still remembered being Mercutio. “My one claim to acting fame,” he joked. Thanks, Will, for helping me make an impact on some youth on a dusty stage with poor lighting yet burning still with your incandescence. Shakespeare, a book of your complete plays would suffice for a desert island exile. On my worst days there, I’d still find great speeches with more left to mine, and I’d call up great memories with your stories in my classroom. And I would find great words to help me write my story in the sand. What has the Bard done for you lately? Or once upon a time? Write about to-morrow, about life’s petty pace, and your fears of dusty death. Find one of Shakespeare’s sonnets and let its lines inspire a new work from you. Thank You, Will. 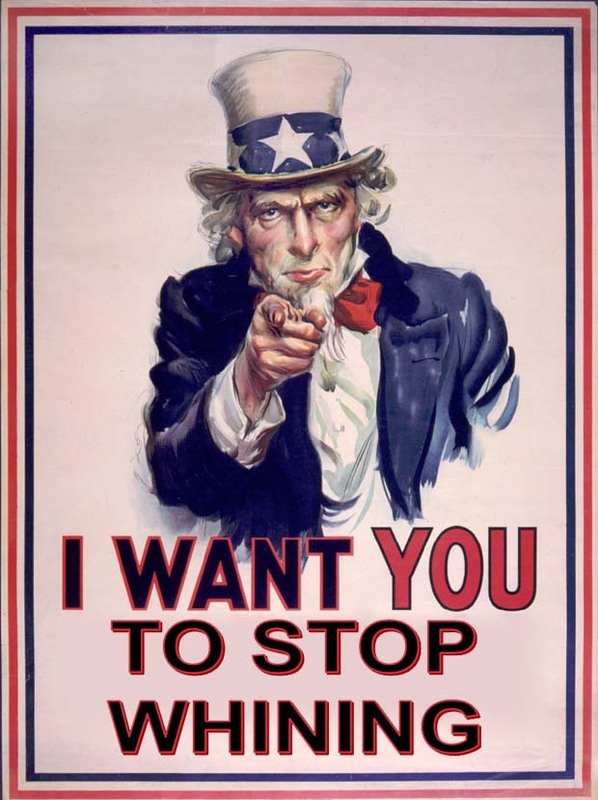 Why We Need You. — Because you were a middle-class working man with genius. — Because you took nothing new under the sun and made it shine. — Because you know we need to laugh when things are most tragic. — Because you spoke the wisdom of both kings and cobblers. — Because you remind us we are all a piece of work, noble, infinite, angelic. — Because you remind us we are all a quintessence of dust. — Because tomorrow creeps in this petty pace from day to day and we need your light. How Much Genius Do I Need? 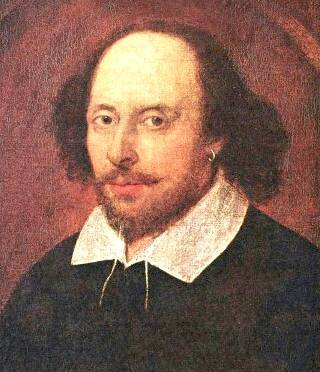 Teachout’s article, “Denying Shakespeare” in The Wall Street Journal, has my full attention. I’ve nurtured my own private theory for a while: that the naysayers to Shakespeare’s authorship dismiss genius residing in low-income communities. I have done no research on this topic; my expertise comes from teaching, where I’ve seen, heard, and contemplated brilliant children from all walks of life. It would not surprise me at all if a lower-middle-class guy from Stratford penned all those timeless plays. Looking at the context, I wonder if what Edison is really saying is that great accomplishment comes from constant practice and commitment by a person who, we have to assume, has some skill and insight, never mind paradigm-busting ability. I’m very clear on one thing: I am not a paradigm-buster. Shakespeare was, Virginia Woolf was, ee cummings was. And I think it’s okay to want a best-seller that isn’t genius, but just very, very good. Maybe even great. There’s a place for good commercial fiction. And the ultimate goal is to make a living touching lots of minds and hearts…not to make a million doing so. That’s a robust, shiny, healthy American dream. I don’t purport to offer a yardstick measuring skill and sweat. I don’t have time to worry if other authors are rich or poor or impostors. I am happy to have some skill and the will to hone it, and I choose not to worry if I have enough. That’s perhaps why a genius from the lower middle class doesn’t disturb me; he may have been a slacker or a workhorse, but this one guy, whoever he was, wrote incredibly well. What I do resent is when audiences cling to an artist because of looks, stature, money; when audiences don’t have any idea what good art is because they’d rather watch Keeping Up With the Kardashians than read a good book; when artists step on each others’ backs to get ahead; when artists work for free because they don’t have to earn an income. 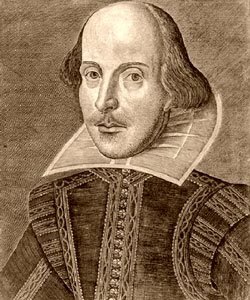 I don’t believe Shakespeare had the looks or stature, because even his one portrait is disputed, and his biography is so thin as to almost guarantee he wasn’t a big kahuna. I don’t know if Shakespeare was a backstabber or not, but he sure didn’t elevate characters such as Iago and Polonius to great heights of respect. I’m going to guess that Shakespeare was what the records tell us; a working actor and playwright who needed every shilling, farthing, or pence he could scrape, since there were no such things as royalties on published plays. The Shakespeare we honestly know so little about (see Bill Bryson’s Shakespeare — fantastic read!) left us great work. That’s enough. And those of like me who continue to dream about a particular work we’re crafting someday touching millions…Shakespeare doesn’t offer us hope to be an equal as much as inspire. His words are more than one percent needed to persist, because literature enriches, uplifts, transcends…and ain’t it fun to try and write it?